The newcomers appear nice and friendly. An optical trick. Actually NAD redefines the rules of the game the chain with this combination: the transport play from CD, the network, and your own server, data is processed via HDMI and Super chip particularly classy. We have tested the dynamic duo. A small step in letters, but a big step for the audiophile humanity. A double like this type was called in olden days “Drive / Converter combination”. Today all over the world, however, speaks of a “transport / converter – Combi”. An unassuming letter Exchange with consequences. What has happened? Or deeper asked: what is a “transport”? To seek a simple image: A transport is a huge landscaped station which drive signals can be on multiple tracks, manages, paves the way, and can depart again. Ever more and ever safer, the better. The new M50 nad is the prime example. In the front view, it could be confused with a CD player, great amazement starts at the rear view. A dozen inputs and outputs are available. Surprisingly everything in the singular: a XLR, a cinch… The M50 is not automatically sounds, everything flows purely digital, an analog stereo signal only with outside help is concluded – level of the converter M51. Who wants to see also complete information about tracks and playlists, artists, resolution, should have an Apple or Android phone. Better yet: a large-sized iPad. A concept of the best ways and at the same time the highest dependencies. Only the team counts, the Federation. The latest ‘digital suite’- NAD products are perhaps the most important for the future direction of the company. At the same time they are in the tradition of “Masters”-philosophy, the most expensive family within the catalog. The housings are solid, resonance-controlled and powder-coated. You don’t see that at first glance, because the design language of NAD is as usual pleasant calm and show-free. Chief Engineer Bjorn Erik Edvardsen has created the M50 not only as a sparring partner for the converter M51. 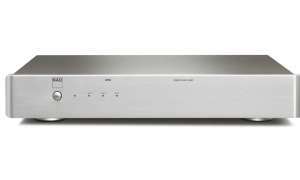 2009 NAD has introduced the M2 integrated amplifier, which is radically digital: the M50 can be connected directly. Who uses the RS-232 interface, can be also a comprehensive package to control data flow: about the iPhone app to access directly the volume control of the hardware. In this constellation of maximum, it saves the cost of the middleman, is so the M51 converter. 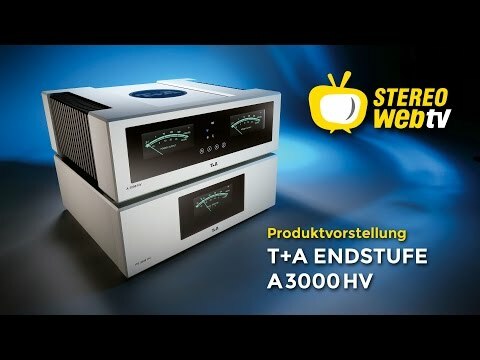 Although here’s a fallacy threatening finally is the M2 – amp at a suggested price of 6,000 euros. If you have not, goes with the M51 (1,700 euros) considerably cheaper, maybe even twice cheaper. 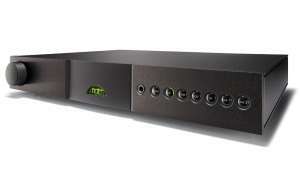 The thinnest piece of “masters” family (height: eight centimeters) converts not only, but can be configured as a full preamp. Directly into the amplifier directly to the active speaker – a tempting thought. We will test it in one of the next editions. The M51 also has a asynchronous USB interface. You can connect it directly with your Mac or PC and listen to files up to 192 kilohertz. After so much positive somewhat negative: goes out blank, who screened his Apple compliant in AAC or Apple Lossless music files or bought. 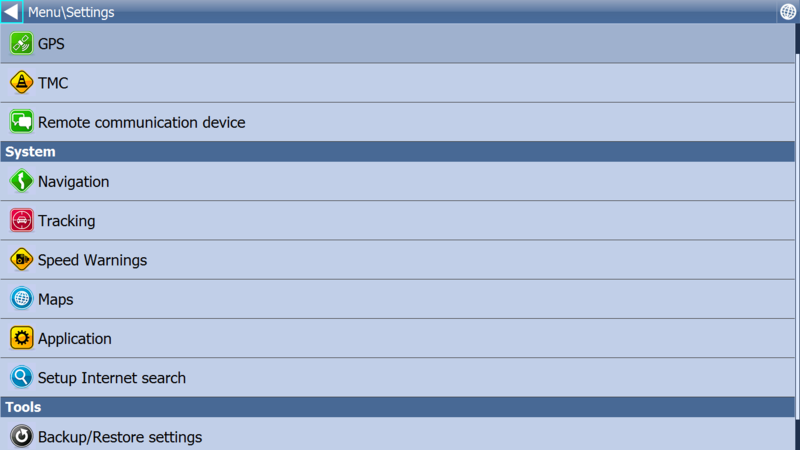 NAD refuses to accept of these data packages – on the M50 yet. German distributor credibly assured that a future Software Update will unlock the advanced world of iTunes. Anything else would be an affront. Very clever NAD exploits a different idea about it: if I’ve been using the M50 in the core of a Linux-based supercomputer in the guise of HiFi – why do I offer not just a ripping service for CDs? The laser drive would be available, but missing the hard drive. Consistently NAD flanked the M50/51-Duo with the M52 – two terabytes total storage, so beautifully packaged in family design. Three disks rotate in the loss of safe RAID-5 array: the contact to the M50 has been made via USB deposited the drive the silver discs contents as FLAC or MP3 files on the hard disk. It doesn’t show the “well-behaved” components on this page, but NAD has opened extremely wide the door into the digital future thus: with a modular architecture, which no other manufacturer can provide. And with internal components, the industry’s most noble names crave. So the M51 DDFA Chip converts (direct digital feedback amplifier) Zetex manufacturer based near Manchester. The chip breaks with almost all traditions of known digital / analog converter. So far, good analog sound was built according to the logic of multiplying: many individual chips help a lot, rasterize fine and correct each other in the network. Unlike the DDFA thought: A PCM format supplied to is converted into a PWM-standard. So pulse width modulated: a Digital-digital-conversion of the PWM signal can be hunted until just before the output jacks. The digital signal is high quality, stable and very handy with switching transistors convertible and can be amplified. 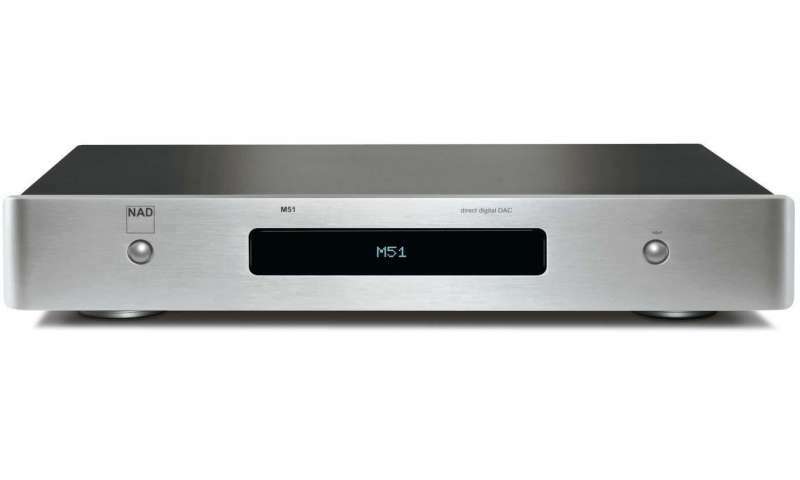 A concept that makes a serious pre-amp the M51. And the evil spirit of Plage par excellence: the jitter? It drives him out with an HDMI cable. Also touted a power Word, the NAD in the audio business. An Complete I2S architecture between transport and converter flows over HDMI. Philips has that “inter-IC sound interface” developed nearly 30 years ago as a secure dialog between circuits. The serial data such as Word-clock – be transferred in addition to the pure music strictly synchronised and field-attachable word lengths. A more effective jitter off driver – what also hear can be. The test setup for this finding was archaic, simple: the new album “Bad as me” by Tom Waits – CD, as it ripped FLAC files at 44.1 kHz / 16 bit and as noble download in FLAC 96 kHz/24 bit. With a focus on the most beautiful tearjerker of the album: Tom Waits sings together with Keith Richards the ‘Last Leaf’, the last sheet in the autumn wind. Gorgeous oblique, including accordion, but outline strong bass. The CD embezzled the fine but important moment when Keith Richards on the micro creeping up and inhales to kick off in our test run. Not, the sudden AHA effect was that the M50/51-Combi brittle would be – procedure with the silver disc’s rather actually identical data were read out from a simple USB Stick. The distance between the microphones and singers appeared significantly more precise spatial Imaging , palpable: had you previously speculate can that waits and Richards never met and the parts in separate, anonymous studios were recorded, taught us the Small form of FLAC the contrary. Much aura. The biggest kick in the increase in sound. The 96 kHz/24 bit version went into the depth of internal information, voice and instrument colors – beautiful. And just as clearly as weird: the old, simple, digital contact via coax or optical fiber by far not so masterfully played as HDMI connection propagated by NAD. Clearly the best choice, a plus by more than ten percent – half universes in the vastness of the reference class.